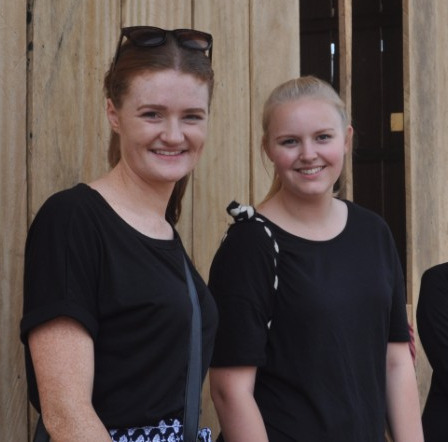 KHEN's partnership with Macquarie University through PACE International enables students who are enrolled at Macquarie University to come to Cambodia to work with us here at KHEN. Typical placements are 2 - 3 months in duration. KHEN have welcomed students for the past 3 years - 2 students annually since 2014 (December to February). KHEN highly values the contribution that our previous students have delivered to KHEN's projects. Future students may work on similar activities, however student work is dependent on KHEN's project requirements at the time. Please also refer to our International Volunteers page for a general role profile - under the heading 'International Volunteer Profile'. ​To find out more about PACE International, Macquarie University and to apply, please use the button link below. For further questions about the PACE International Program please email paceinternational@mq.edu.au. In addition, please do not hesitate to contact us at KHEN if you have any specific questions about our partnership with Macquarie University through PACE International.
" It has been a privilege to work for KHEN. I had the opportunity to work with its compassionate and dedicated staff, see the community schools that KHEN has built, and experience the Khmer culture. "